Hello’s galactic exploration game will be here sooner than you think. No Man’s Sky gameplay – what do you do? – Release date – when is No Man’s Sky coming out? No Man’s Sky has been the subject of constant press attention since it was first announced at VGX at the end of 2013, and has sparked the imaginations of gamers worldwide. Developed by tiny indie studio Hello Games, the creator of the Joe Danger series, No Man’s Sky allows spaceship exploration across a procedurally generated persistent galaxy of 18 quintillion planets (really), most of which have unique flora and fauna. 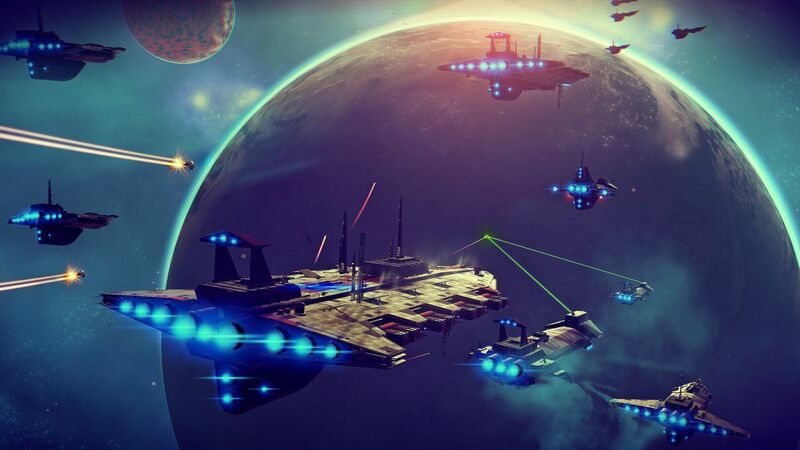 While the general aim of No Man’s Sky is to travel to the centre of the universe, the game itself features RPG-style elements such as upgrading ships, stats and weapons. No Man’s Sky gameplay: what do you do? No Man’s Sky has caught the attention of both the press and gamers for many reasons, not least of which is its seamless gameplay. If we’re going to put a genre on it, we could say it’s a first-person survival game, but the confluence of shooting, exploration, discovery and aviation is promising something entirely new. You start the game with a multi-tool for scanning, mining, combat and a number of other roles, as well as a spacesuit and a fight-ready spaceship. You are a planetary explorer, looking for information on worlds, flora and fauna to upload to The Atlas, an enormous database. Pumping information into The Atlas give you in-game currency with which to buy better gear and more powerful ship drives. The better your ship, the further you can travel. The aim of No Man’s Sky is to reach the galactic core. Everyone playing the game is uploading information to the same Atlas, and as new worlds are discovered you’ll be able to chart journeys on a gigantic galactic map. You’ll able to name everything you discover (really everything: every plant, animal or planet, and the naming is permanent for No Man Sky’s every player), and engage in a free-market system with others. The videos below are probably the quickest way to grok what No Man’s Sky gameplay is all about. Sony has helpfully released a series of trailers showing off the core pillars of No Man’s Sky’s gameplay. This one is all about exploration, be that in the depths of space or with your boots sinking into the mud of some foreign world. Not everything you meet in No Man’s Sky is friendly. Be it hostile wildlife, bandits, rival traders or the space police, you might find yourself caught in battles and dogfights. This video shows how that goes down. If you plan to finish No Man’s Sky by reaching the centre of the universe, you’ll need a beter ship and equipment. This video is all about gathering resources and trading – key systems for obtaining upgrades. The last gameplay pillar of No Man’s Sky is survival; this video goes into detail on that. Here’s the No Man’s Sky’s announcement trailer – the one that got us all so hyped so long ago. 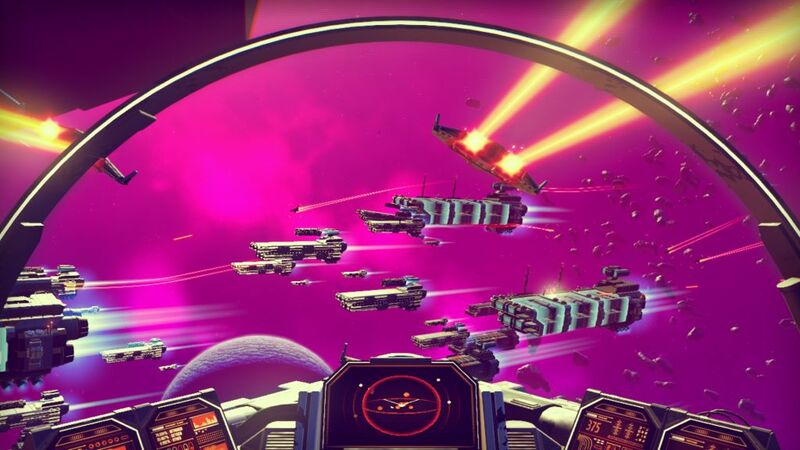 The next major No Man’s Sky trailer was released at E3 2014, six months later. Keeping hype alive, this gameplay trailer released in December 2014 – one year after announce. The E3 2015 trailer confirmed No Man’s Sky was coming to PC. This October 2015 trailer was released alongside No Man’s Sky’s first release date – which it missed. No Man’s Sky is coming to PC and PS4 in early August, and is available for pre-order on both platforms – see below for exact dates in your region. No further platforms have been announced, although that’s likely a result of Hello Games’ small team size, and ports aren’t out of the question in the future. The hype for No Man’s Sky release is such that there have been at least two occasions when sources or listing errors sparked belief that Sony was going to announce the release date on release day, but in fact the opposite happened. At Paris Games Week 2015, Sony announced a June 2016 release for No Man’s Sky, but the game was eventually delayed. This upset some eager players so much that death threats were sent to Hello Games. Not cool. Release date – when is No Man’s Sky coming out? In North America, No Man’s Sky releases on August 9. In Europe and PAL territories, No Man’s Sky releases on August 10. Not even two weeks before expected release date, the official No Man’s Sky website update with what seems to be a delay to the PC version with a new launch day of August 12. As of July 25, Hello Games has yet to confirm the delay, but in the UK, the No Man’s Sky Steam page now shows an August 12, too. In the US it is still listed for August 9, alongside the PS4 build, and other territories like Australia are still showing August 10, their original No Man’s Sky release date. No Man’s Sky is one the most anticipated games of 2016, and even as a pre-order is already listed by multiple retailers as a bestseller. For those of you waiting for critical concensus, we’ll list every major review we see, right here, after the game launches. No Man’s Sky developer Hello Games has kept pretty quiet during the years since the game’s announcement, but somehow or other, it’s still managed to generate plenty of headlines. Founder Sean Murray and his team are unusually candid when they do feel like talking, with the result that No Man’s Sky news has come thick and fast. From legal battles to floods to death threats from fans disappointed with delays, here are all the major No Man’s Sky headlines you should know about. We expect plenty more to turn up after launch, so keep an eye out for updates. Op-ed: No Man’s Sky has a beautiful galaxy to explore, but is that enough? Whatever you think of it’s fairly lengthy development and its many showings on press conference stages and show floors, No Man’s Sky is fairly sure to be one of the most talked-about games of 2016. The question is which way the game will go. We’ll be updating this hub with all the latest as it soars towards release and beyond, updating here with news, reviews, impressions and more – so be sure to bookmark this page.